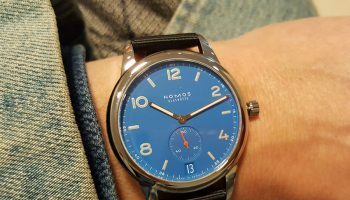 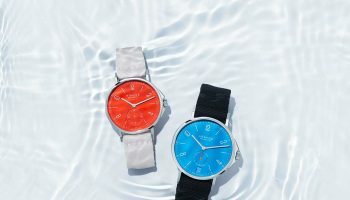 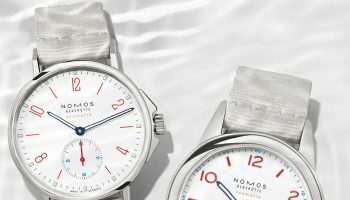 In the minimalistic world of Nomos, details make all the difference, yet another key quality of the brand is that they know how to have a little bit of fun as well. 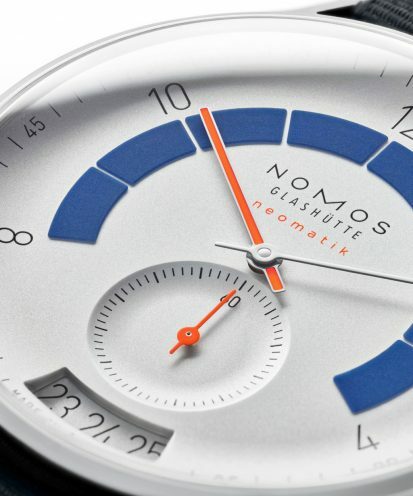 Both aspects of the brand are joined together in the new ‘Autobahn’. 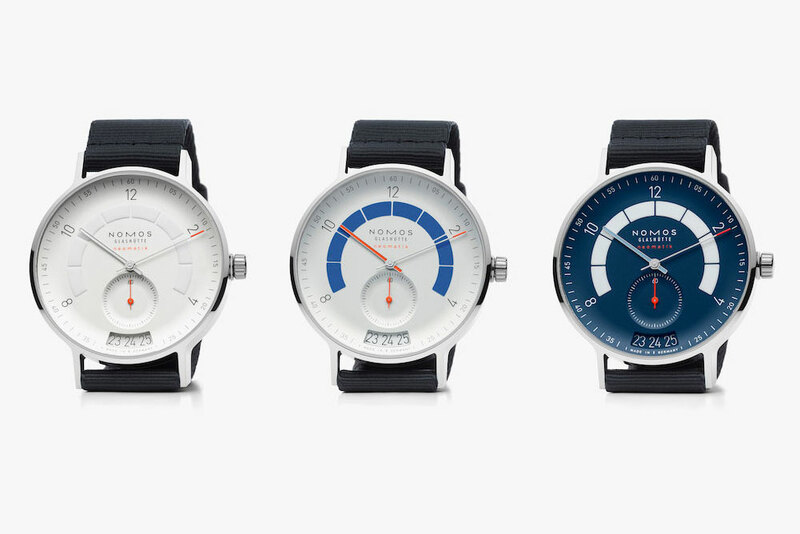 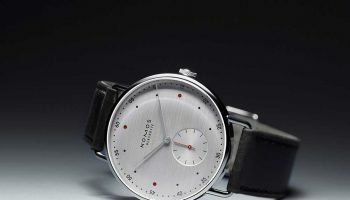 This watch shows how Nomos has mastered both skills to perfection. 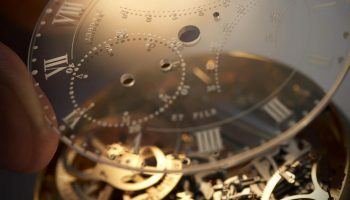 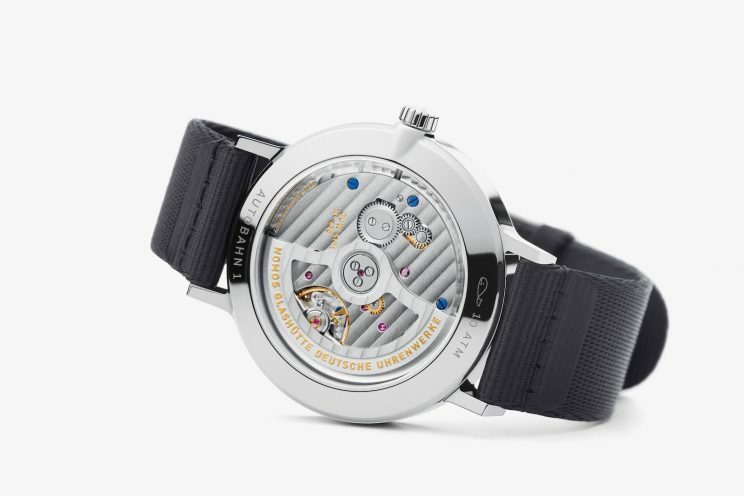 It features the new automatic Neomatik movement with a date function which is cleverly integrated into the design of the dial. 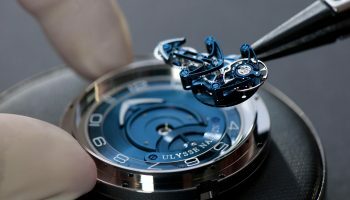 The date can be adjusted both forward as well as backwards and is part of a movement that is only 3.6mm thick. 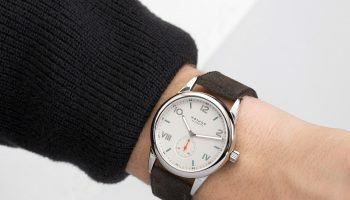 The design of the watch is inspired by the dashboard of vintage (German) cars and comes with a few surprising details. 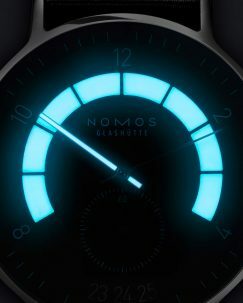 The arc that gives the watch its characteristic looks is actually luminova and glows up in the dark, together with the hour hand. 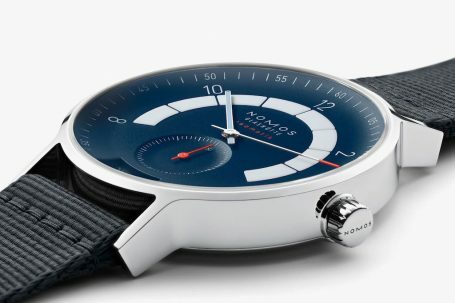 The dial itself is curved like a bowl, as is the sub seconds dial. 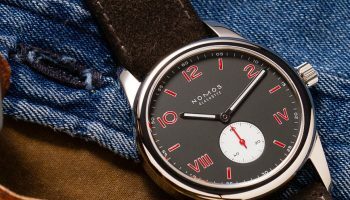 These are the details that make this watch quite captivation, while it also doesn’t make any concessions to its easy readability, another Nomos hallmark. 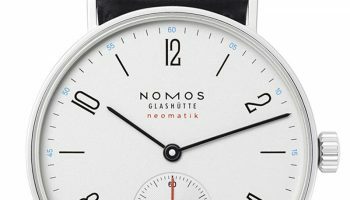 With a diameter of 41mm is the Autobahn among the models from Nomos, yet its slender profile makes it sit well on even smaller sized wrists. 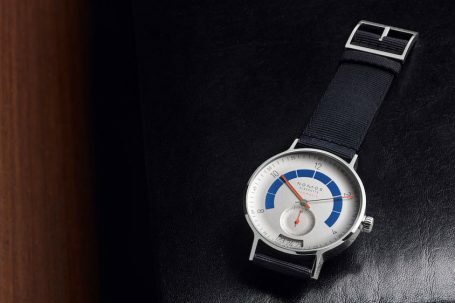 It is available in three different versions, making choosing difficult, yet setting the Autobahn even more firmly onto the highway towards success!